My kids have been bugging me to buy this so-called hoverboard which I then thought only existed in the movies. But they were so persistent that they had me watch this video showing a guy ride his hoverboard which is actually a smart balance-wheel. To me, it basically looked like a segway without a handle. 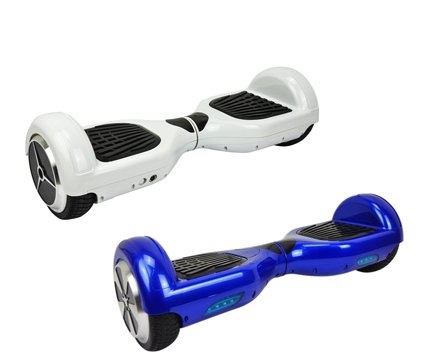 As the loving mother I am, I aim to provide anything my child desires as long as I can so I started looking on the internet where to buy these smart balance-wheel. And to my surprise Ensogo already has it on its website. It costs Php11,499.00 which is by far the best deal I searched. I bought two of them, one in blue and the other one in white. My kids had so much fun riding it not only because of the mere fact that it looks futuristic and super cool but also for the reason that it was easy to ride. Even my husband had his go on the smart balance-wheel. I can see how much fun they had using it but I limit them to use it because I don’t want them to use it as their alternative to walking because walking is an essential part of having a healthy lifestyle. I want them to understand that these hoverboards are toys and not their mode of transportation. But as for adults, you can use it whichever you like because you’re old enough to know your limitations. This thing has its cons but it definitely also has its pros. It has made an impact on modern technology and even helped some people with medical conditions. With all that said, I put it on your hands to decide whether it’s worth a purchase. If you ask me, I’d say it’s worth it because the smiles my kids flashed me when they saw the hoverboards are priceless plus it will make you look a lot cooler mom and individual. hope to get my board soon! cheers!